Chelsea Galioto is a certified Special Educator in Connecticut and New York. She is also a certified Floortime therapist, and has been working with children with special needs for over five years. Chelsea received her Bachelors of Arts from The Colorado College, with a major in sociology in 2005. She then continued her education, and received her Master of Science in Education from Bank Street College of Education in 2009. Her focus was early childhood special education, and early intervention. Over the years, Chelsea has worked in a number of early childhood settings. She completed her fieldwork at the Bank Street Family Center, an integrated childcare center, serving child with developmental delays, as well as those who are typically developing. Chelsea then worked for two years at the Jewish Board of Family and Children’s Services Child Development Center, in their center-based early intervention program. Once she completed graduate school, Chelsea began working for Abilis, a non-profit Birth-to-Three agency, serving children with special needs and their families in the Greenwich and Stamford area. 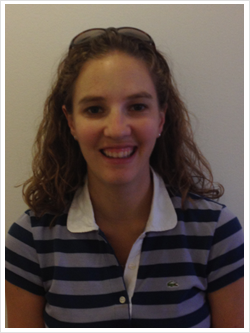 Chelsea continues to work for Abilis, in addition to her private practice. Chelsea has always wanted to work with young children. Her true passion is working with children who have challenges engaging socially with adults and their peers, including those with autism, ADHD, or anxiety. As a result, she received her certification as a Floortime therapist from PLAY Project (www.playproject.org). Chelsea’s specialty is working with young children, ranging from birth to age six as well as coaching their parents in appropriate therapeutic techniques. Chelsea understands that no one knows their child better than their parents. Therefore, she encourages parents to be an integral part of their child’s therapy.